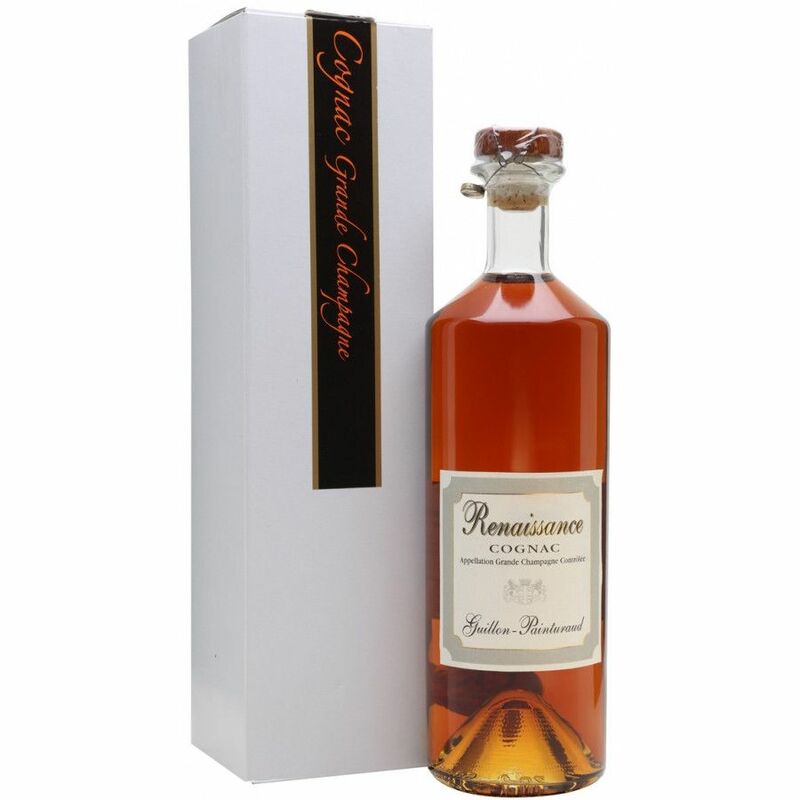 The Guillon-Painturaud Renaissance Cognac is a truly exquisite creation by this single estate house. Every eaux-de-vie that's gone into making this cognac is aged for around 40 years - and is exclusively from the Grande Champagne terroir. A deep copper color, as one would expect from a cognac of this age, this is one to take time to linger over - perhaps when enjoying good conversations with the best of friends. It offers remarkable value for money for a cognac of this age. Deep copper/henna in color; sediment-free. Nutmeat, dried fruits, old leather, and toasted almond scents abound in the opening stages on the nose; the mature bouquet turns deeper, fruitier, and confectionery-like in the second wave of sniffing after aeration; truly seductive. To start the palate is sweetish, caramel-like, full weighted, and chewy; mid-palate offers fathomless tastes of candied walnut, brown sugar, fruit pastry, mince meat, and baked spiced pear. The finish is assertive and generously spiced.